You go to your pub and drink 150 liters of fresh water in half an hour. According to the site referred to in the previous post, other images have emerged in the lead-up to the World Cup that paint a similar picture. 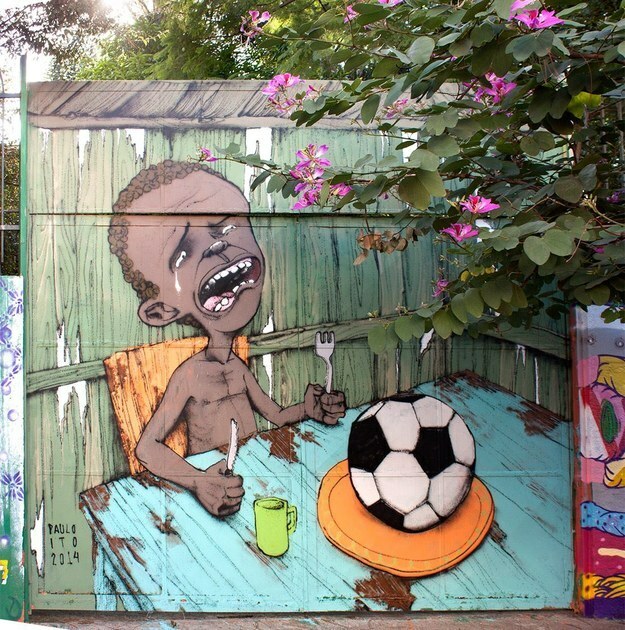 Perhaps the most famous is the graffiti done by Brazilian Paulo Ito on a São Paulo schoolhouse. And here is another image that is rather telling too.